Shake the ball to create a glitter swirl. 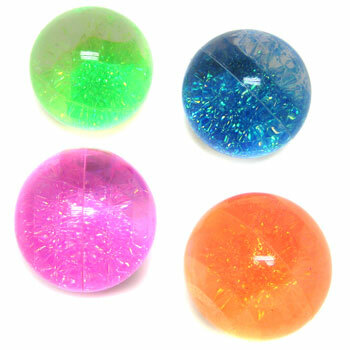 2 1/2 inch diameter balls in 4 assorted colors. Sold by the dozen. $18.65 per dozen for 8 dozen or more. $16.00 per dozen for 16 dozen or more.